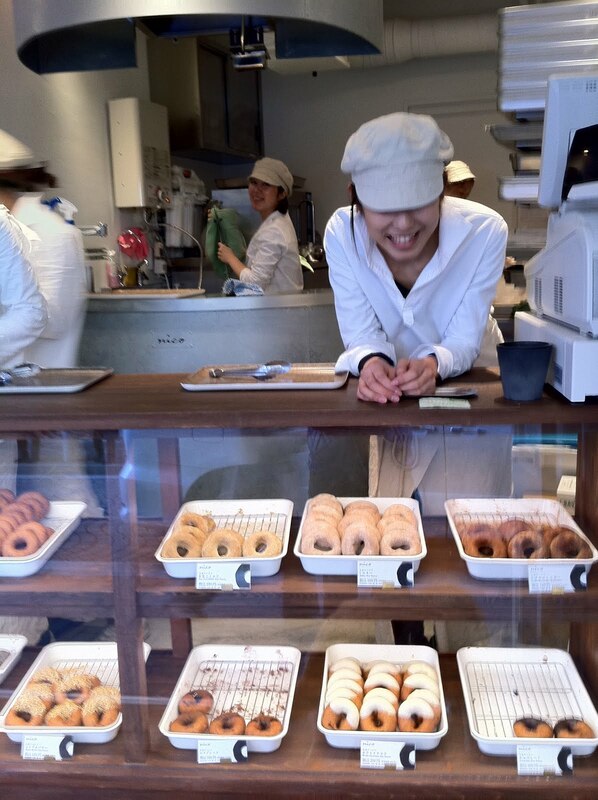 Freshly made donuts can be a memorable gustatory experience. When Abby and Eve were little, we used to buy still-warm-from-the-oven donuts every Saturday morning at the Michigan City Farmer's Market. Carted in by a baker from La Porte, they were truly out of this world. It was a very sad summer when he shuttered his shop for good. An adorable donut maker opened recently in Azabu Juban, adding yet another option to the neighborhood's snack food shops. Located kitty-corner from Mamegen (our favorite sembei rice cracker store), Nico fronts the street with a glass display case that showcases their array cooked up at the back of the store-- not quite a scene out of Robert McCloskey's "Homer Price" (one of our all time favorite books). But close. 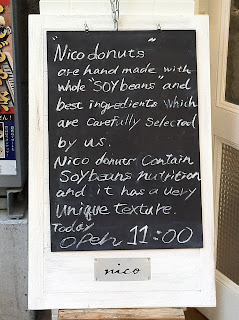 Made from soy flour, they are deep fried and come with a variety of toppings, including white chocolate or toasted sesame seed. 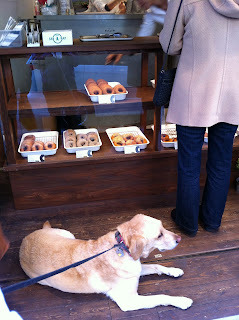 Shortly after the shop opened, Pippi and I stopped to investigate. The clerk praised her product's health benefits (that's the soy flour) and informed Pippi that her donuts are equally popular with dogs. 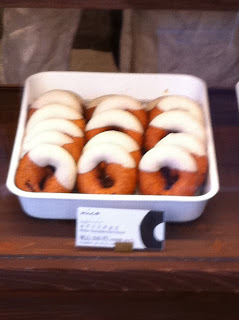 On subsequent visits, we noticed that they usually sell out for the day by 3 p.m. What is all the hubbub was about? 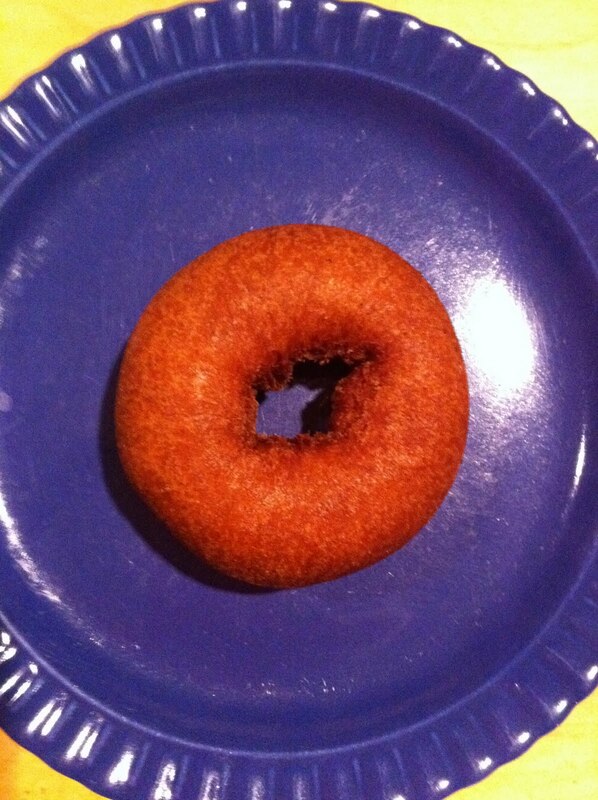 We decided to buy a single, plain donut and find out. Naturally, we waited for Eve, our resident donut expert, to taste test Nico's fare. My expectations were really quite low. 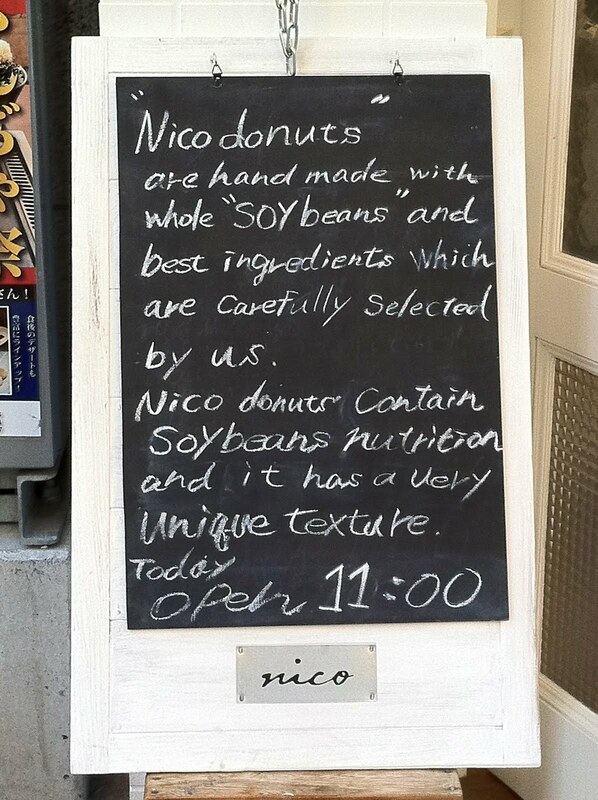 How yummy could a donut made from soy flour possibly be? 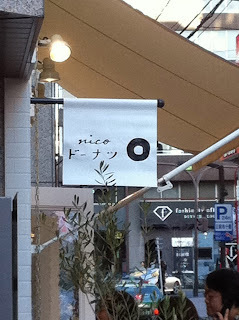 We were very pleasantly surprised. 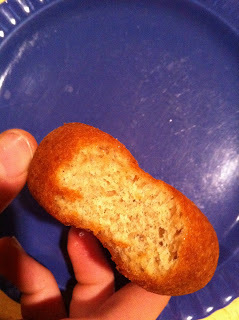 Undoubtedly, the soy flour yielded a slight grittiness. But I prefer a donut with a point of view. Texture adds authenticity. Though the flavor of the oil was evident on the exterior, the fluffy, warm interior more than compensated. 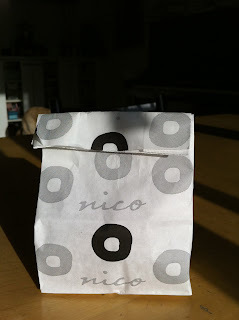 Mildly sweet, the donut's light taste grew on us with each bite. Hmmm .... about ten days ago ... you want in next time ?? ?